Halo Top is what happens when science goes horribly right; when Frankenstein’s monster turns out to be a pretty chill guy who helps you out around the house and signs for your packages and stuff. The miracle ice cream comes in six flavors and has 240 calories per pint. That’s straight-up ludicrous, bordering on unbelievable. A pint of Ben & Jerry’s chocolate has an even 1,000 calories, Haagen-Dazs is at 1,040, and most McConnell’s flavors have more than 1,200. Halo Top makes it happen by cutting cream with milk protein concentrate and cane sugar with calorie-less stevia and erythritol, AKA the stuff that makes your toothpaste taste like candy. Like the rabies vaccine and the iPhone, this is just another case of science swooping in and drastically improving your quality of life. You can totally tell the difference between Halo Top and legit ice cream—the texture tends to be chalky and icy and the mint chip flavor has a subtle Listerine finish—but that’s not what’s important. You can tell Diet Coke from regular Coke, but it still scratches the same emotional itch. If you need to put a bunch of sweet stuff in your mouth to feel whole (I know I sure do), and no matter how much you understand that food choices are personal and morally neutral, you can’t escape the crushing sense of guilt that follows a calorie binge (I know I sure can’t), then Halo Top is your dream food. Along with its low-cal ice cream contemporary Arctic Zero—only 150 calories per pint, but damn near inedible—and other new players in the diet dessert game like the xylitol-laden, protein-rich Swole Cakes, Halo Top is a total throwback to the swingin’, scientifically ambitious 90s. It was a time when food scientists tried to cheat God—to skirt the laws of nature without consequence—and they did a damn good job of it (except for the pants pooping; He won that round). 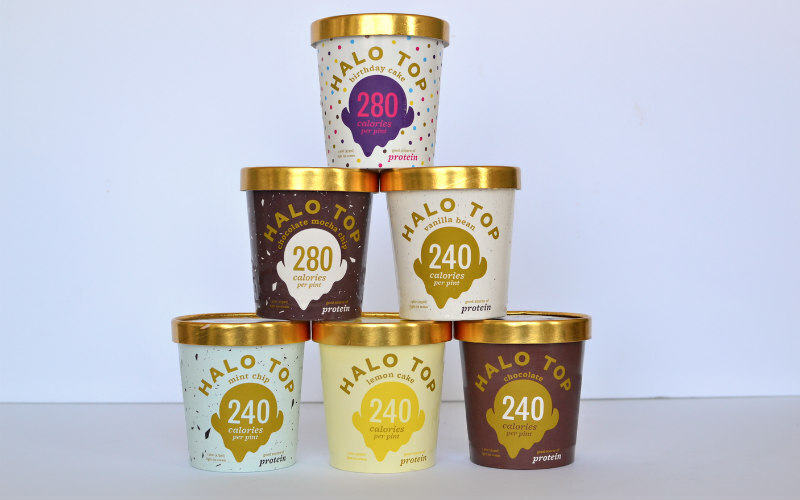 But Halo Top is an outlier now. The modern-day diet food landscape has subbed out artificial(ly delicious) sweeteners for quote-unquote natural sugars like agave nectar, date sugar, and something called monkfruit extract, which leaves your no-carb brownies with a fun bleach-y aftertaste. Instead of tricking mother nature through hot, nasty, badass science, the new wave of healthy-ish desserts shows reverence for it. 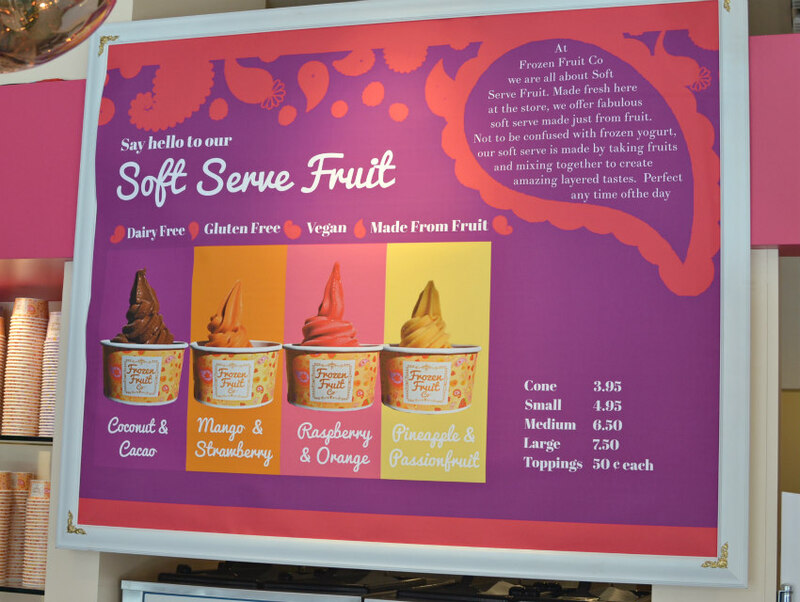 Take Frozen Fruit Co. in Santa Monica, who makes soft-serve out of fruit. Not fruit-flavored soft-serve, but, literally, it’s just frozen fruit juice and puree that gets dispensed via nozzle and pull-handle. And from looks alone, it’s a dead ringer for the real thing. 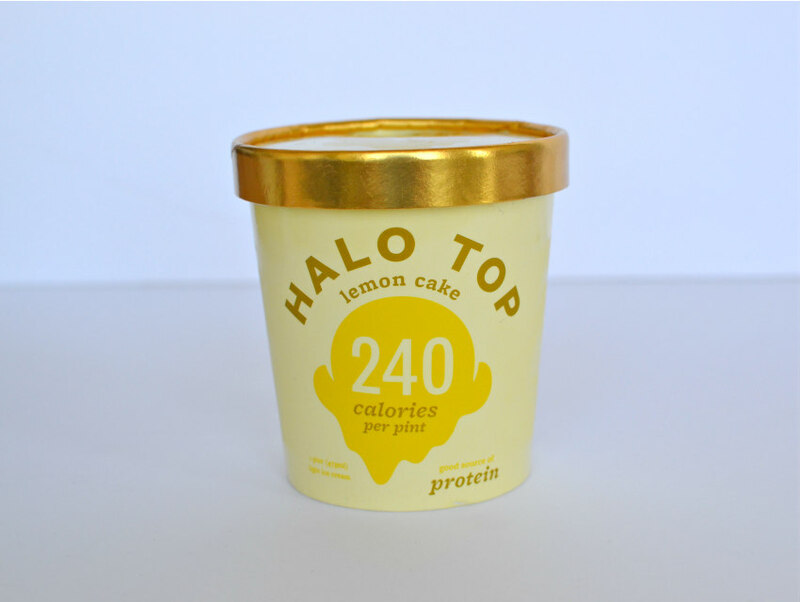 There’s a pineapple and passion fruit version that has about 400 calories per pint. It’s tasty and not dissimilar from one of the tart sorbets you’d get from Yogurtland, but that doesn’t satisfy the emotional need for legit creamy ice cream. To get closer to that euphoric Halo Top rush, you have to upgrade to Frozen Fruit Co.’s coconut cacao flavor made with raw chocolate and textured up with dates. 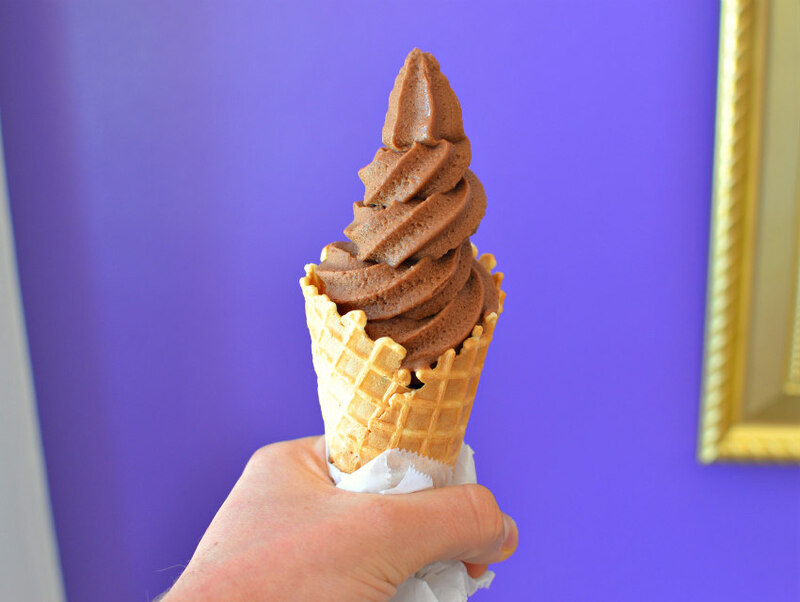 It’s grainier than your typical soft serve, and it has some lingering acidity from the fruit, but, overall, it’s sweet, thick, chocolatey, and hits all the right notes. The problem is, it has more than 1,000 calories in a pint, giving it the exact same nutritional content as the thing it’s imitating. All the calories are from natural fruit sugars, which can have a lower glycemic index than refined white sugar, but it still shows the Catch-22 of these all-natural, make-you-hate-yourself-less magic desserts. Add too little date sugar or whatever and the product isn’t satisfying; add too much and you’ve come back to the original problem you’ve tried to solve all along. With products like Halo Top, you don’t have to worry about that, thanks to the magic of science. Detractors would point out that all those chemicals in artificial sweeteners aren’t healthy, and suggest that if you can’t pronounce the ingredients, you shouldn’t put it them your body. To which I would respond: Get better at reading. Aspartame. Sucralose. Acesulfame potassium. They’re all just letters come together to form words. Sound it out, you’ll be ok. (P.P.S. : There is an oft-cited study from the Ramazzini Foundation of Oncology and Environmental Sciences that linked aspartame to cancer in lab rats. The study has been dismissed by both the Food and Drug Administration and the—generally more strict—European Food Safety Authority, for multiple flaws. One of which was that a prominent group of rats was being given a dose of aspartame that was equivalent to a human consuming more than 2,000 cans of Diet Coke per day).